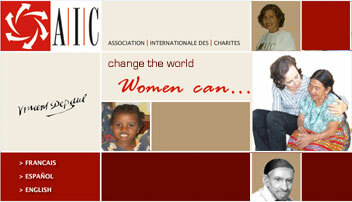 The AIC is a federation of groups composed mainly of lay women who work throughout the world to help alleviate poverty in all its forms in the spirit and tradition of St. Vincent de Paul who established the first Confraternities of Charity in 1617. In more than fifty countries, through the work of its teams formed exclusively of local volunteers, the AIC efficiently implements solidarity by working closely at ground level with those in need. This allows persons who are poor to become agents of their own development and that of their community. The federated organization had its beginnings in 1969 when, at the behest of the Superior General of the Congregation of the Mission, representatives of the organization met to prepare the framework for the international organization, the group was formalized in Rome in 1971. Since that time LCUSA has had one or two representatives on the AIC board of directors. AIC is a source of information and guidance for affiliated national groups and represents them on the international level at ECOSOC, UNESCO, Council of Europe, and the United Nations where it has recognized status as a Non-Governmental Organization (NGO). To access the AIC Charter, annotated with Reflection Questions, click here.